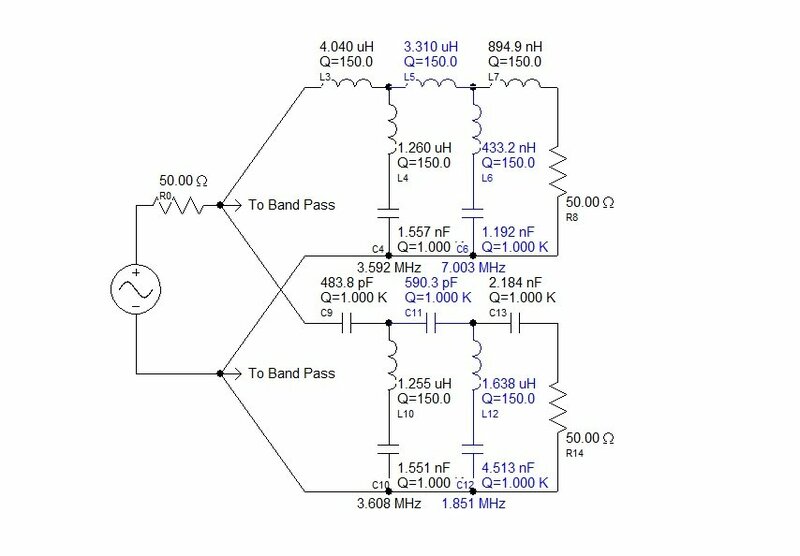 This Low Band triplexer is an “unique” development as nobody else has built or published 40-80-160 meter band triplexer yet. Some time ago N4IS ordered a triplexer board to build a triplexer to use with his Waller Flag receiving antenna on low bands (1.8, 3.5 and 7 MHz). I’ve never thought of using triplexer that way, but it turned out to be a good idea to have all three low bands available from a dedicated receiving antenna to any radio in SO2R setup. Using a software, I designed a new low band triplexer for him for 160-80-40 meter bands and later, I built the triplexer for low bands. 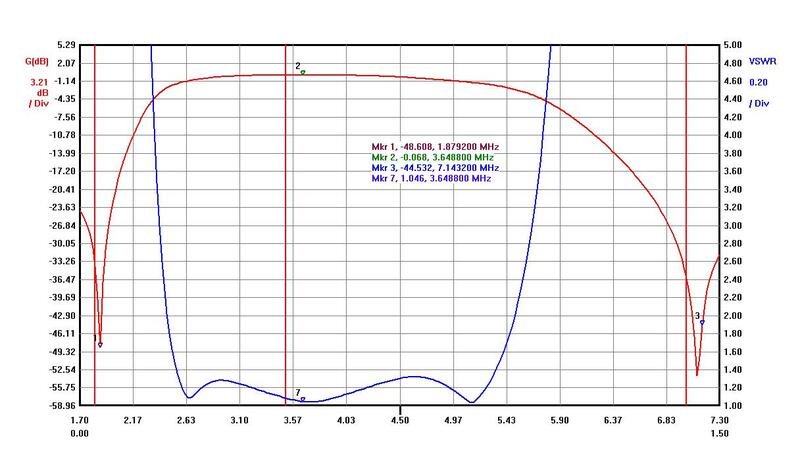 In a regular RX/TX operations, it can be used with multi-band vertical or wire antenna. 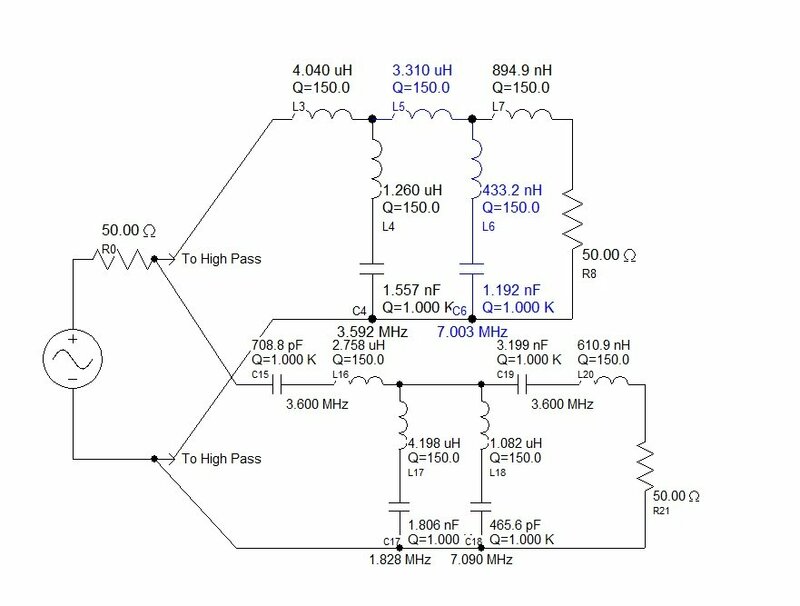 If you do not need 160 meter band, you can use it as a duplexer simply terminating 160 band port with 50 ohm load (You have to build 160M band part of schematics anyway). I’ve built some duplexers before to be used with 40 and 80 meter dual-band antennas, but this is the first time I built the triplexer for low bands. Low Band Triplexer can be used as a Diplexer for any band combinations (40-80, 40-160 or 80-160). Unused port should be terminated by 50 Ohm load. Below is all information for low band triplexer I built for a regular TX/RX usage. I use the same Triplexer board for both Low and High bands. Please, see some parts values from schematics below. On a triplexer PCB 20M is 160M, 15M is 80M and 10M is 40M. As expected all numbers for a low bands triplexer are a little bit better than those for a high band triplexer. Please, use pictures above as a reference for the coil types and number of turns to the table below. 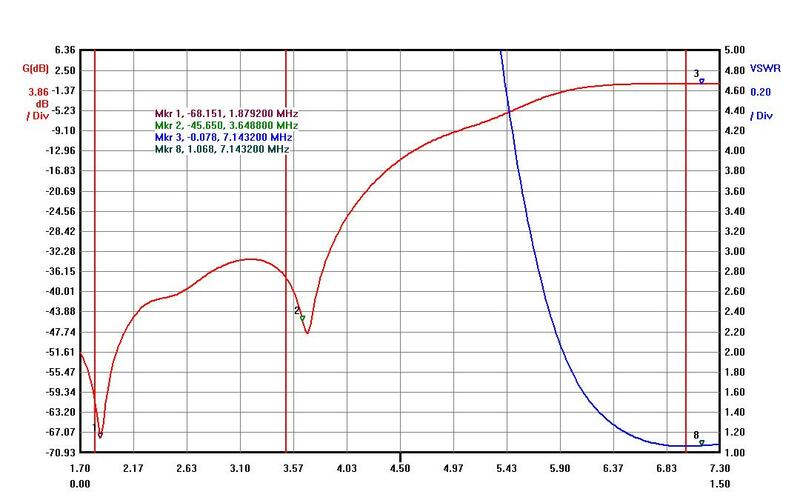 Capacitor values can be +-1% of calculated values. T130-2 can be used instead of T130-6 with 2 turn less than showed in the table above (L40-2 should be 11 turns for T130-2). Please, see some graphs below. 160M band tuned mostly for 1.8-1.9MHz range. HP 1500W 40-80-160 meter band Triplexer built as well. 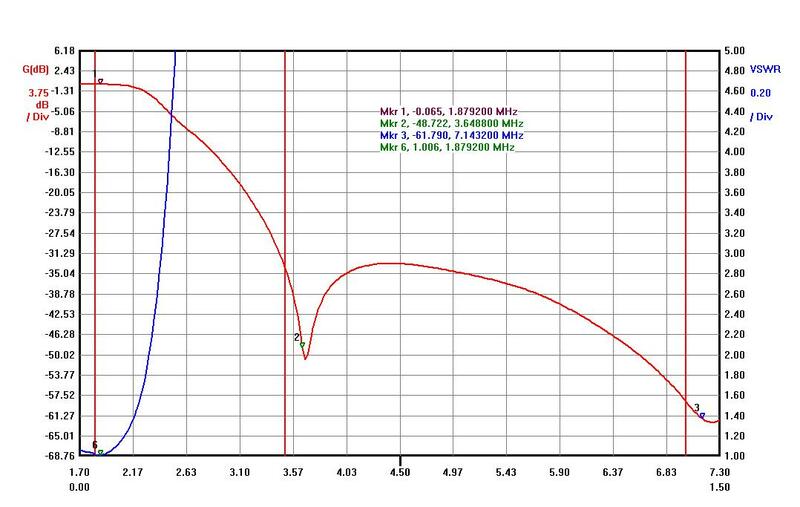 The same good parameters and low Insertion Loss achieved. The problem building such a Triplexer was a capacitor choice. Doorknob capacitors I am using are too large in diameter to make up large capacitance and some 1000V Mica capacitors used where no high current expected. 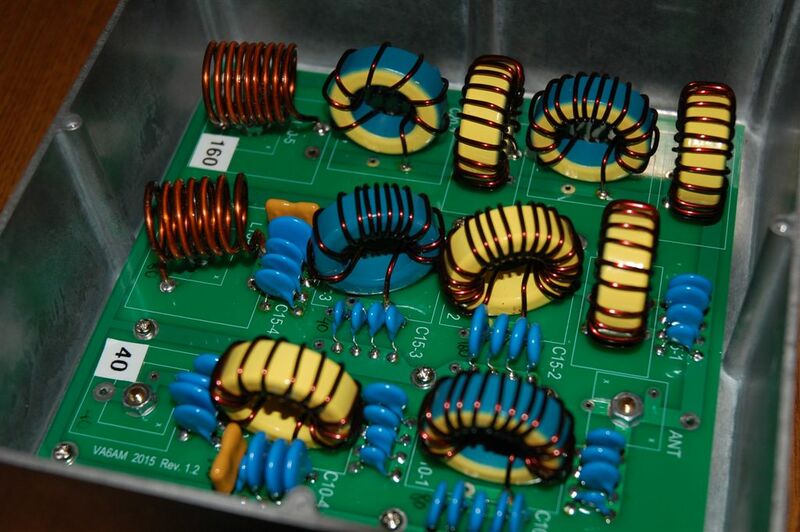 Large inductors made using large Iron Powder toroids where a high current expected and smaller double toroids used for LC traps. “Smoke” continuous test was done with 1300W output power for a few minutes run on each band port and all was good, no overheating found and some coils was a little warm (without any air cooling applied). Please, see a photo below.